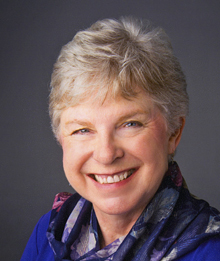 Ruth Baird Pollard is a member of SouthWest Writers and is an active volunteer with the Alzheimer’s Association as a facilitator for two support groups, which is her passion. She lives in Albuquerque, New Mexico with her faithful companion, Maggie the cat. I kept a journal during my husband’s illness because recording my thoughts helped me to distance just a bit from the emotional stress of being a caregiver for a loved one with dementia. I found that it was a therapeutic form of grieving. After his death I felt called to publish my book in the hope that it would help other caregivers on their journey. 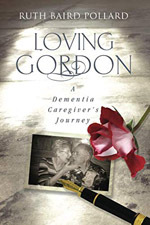 When her husband, Gordon, was diagnosed first with Alzheimer’s dementia and later Lewy body dementia, Ruth and Gordon Pollard faced the challenge of their lifetime. Aiming to keep him at home as long as possible while knowing a memory care facility might be an eventual reality, Ruth educated herself about every aspect of the disease, attending seminars and reading stacks of books. She embraced support from family, friends and neighbors and joined a support group. And most importantly she asked for help, for this journey cannot be completed on one’s own. Along the way, Ruth found wisdom in the words and actions of professional caregivers as well as her dearest loved ones. Surprisingly, help also came from complete strangers in the form of encouragement and understanding. The journal she kept for several years now supports and inspires caregivers and their family members through their walk with dementia, one of life’s most arduous, tender and compassionate journeys.